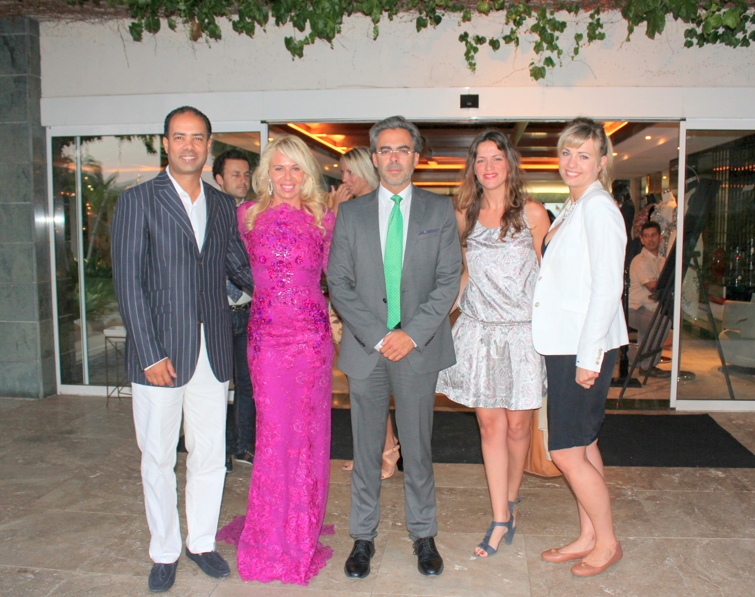 Theresa Bernabe TV 9th Anniversary took place in Gran Melia Don Pepe Hotel in Marbella on the 26th of June 2014. Since the creation of the first online luxury TV channel world in 2005, Theresa Bernabe TV has been a synonym to exclusivity and prestige, constantly seeking innovation. Since the founding, www.TheresaBernabe.TV has continued to incorporate international millionaires spectators (over 149 countries visit the channel), the kind of people who do not think twice about the cost of renting private jets, buying the latest vehicle before presented to the market or buy their second or third home, who are able to afford to stay at the forefront of all developments that exist in our industry. In 2007 the luxury channel also began its journey abroad with international airlines offering passengers the finest entertainment never seen before, continuing prestigious partnerships with major media and financial portals, conducting interviews only with the famous and with the most influential people in the world, introducing international conferences and much more. THE HOUSE OF BORGEZIE – THE MOST EXPENSIVE SHOES (200.000 POUNDS) AND A 1.000 YEAR GUARANTIE. GLENFIDDICH 50 YEARS – THE MOST EXPENSIVE BOTTLE. ART WANSON GALLERY – MERCEDES LASARTE, MAGRITTE,… THE MOST EXCLUSIVE ART WORKS. CAVIAR DE RIOFRIO – THE FIRST AND ONLY ECOLOGIC CAVIAR IN THE WORLD. LUXURY COLLECTION BY COVAP – FIRST PRESENTATION IN THE WORLD OF THE LIMITED EDITION OF THE FINEST HAM WITH CRYSTALS. CANNES FESTIVAL ARRIVES TO MARBELLA PRESENTING FOR THE FIST TIME A COLLECTION OF CHANEL, GIVENCHY,… DRESSED WORE IN THE FESTIVAL IN THE YEARS 50 & 60. CHINCHILLAWINE – BOTELLAS NUMERADAS A MANO - LA EXCLUSIVIDAD DE CLOE. SAM OLIVER – EL ACLAMADO CANTANTE DE OPERA BRITÁNICO. LASCAS DE PEDERNAL – LA 1º BEBIDA AROMATIZADA DULCE DE NARANJA. PERGAZ – EL QUESO DE LOS MAYORES GOURMETS.